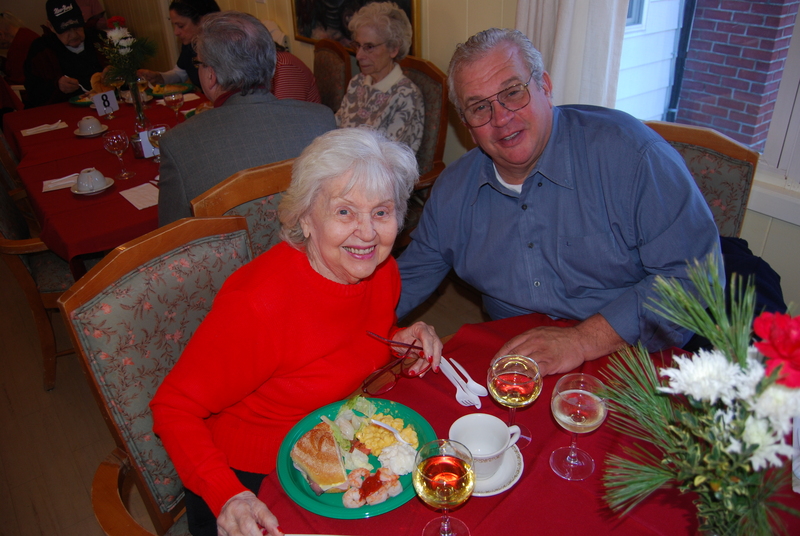 Caroline Martin (left), Resident, McPeak's Assisted Living, enjoys lunch with her son Ross Martin (right) of Patchogue at McPeak's Annual Holiday Party on December 12. On December 12, residents of McPeak's Assisted Living and their family members celebrated the holiday season at McPeak's Annual Christmas Party, which took place in the establishment's dining area. Families and residents enjoyed a delicious lunch featuring sandwiches, salads and beverages. While families enjoyed their meals and each other's company, Santa Claus arrived with presents for each resident. Live musical entertainment was provided, featuring holiday tunes and songs from yesteryear.